I’m the girl who scooped up a bunny that was hit by a car and drove it to the vet, I once rescued an injured bird and drove over two hours to a wild bird sanctuary and I always brake for squirrels! 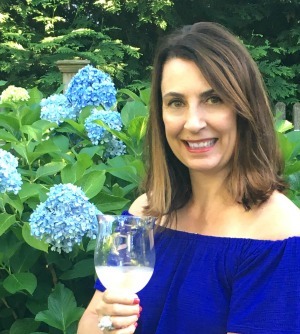 When I found out that Dawn is celebrating 40 years of helping save wildlife, I had to partner with them on this sponsored post to help spread the word. I’ve had dogs (Rex, Sushi), cats (Casper, Cat, Casey, Felix), guinea pigs (Romus and Snuffles were favorites), hamsters (Raisin and Susan both gave birth once we brought them home), fish, parakeets (Tweety, Shamrock and Tweety II), hermit crabs (Sheldon, Crabby to name a couple) and even sea monkeys so needless to say, I love animals! 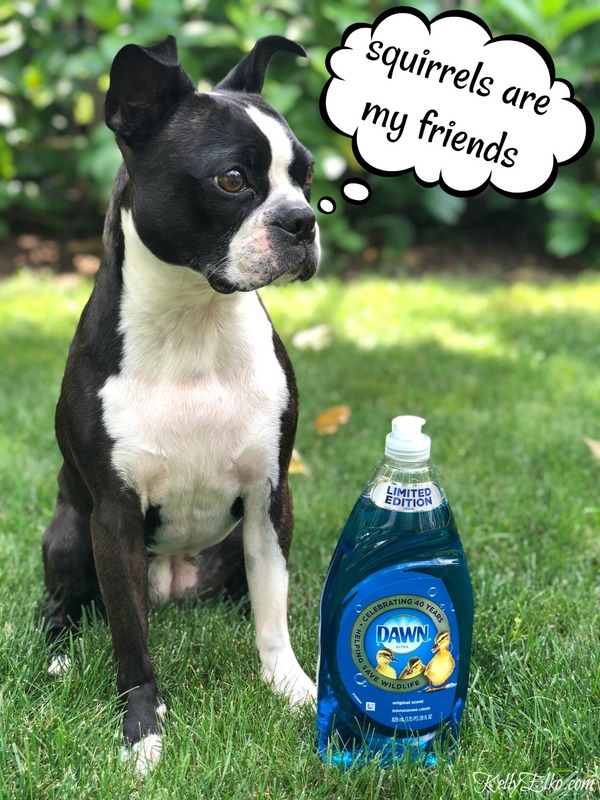 We all know that Dawn dish soap is great for washing dishes. 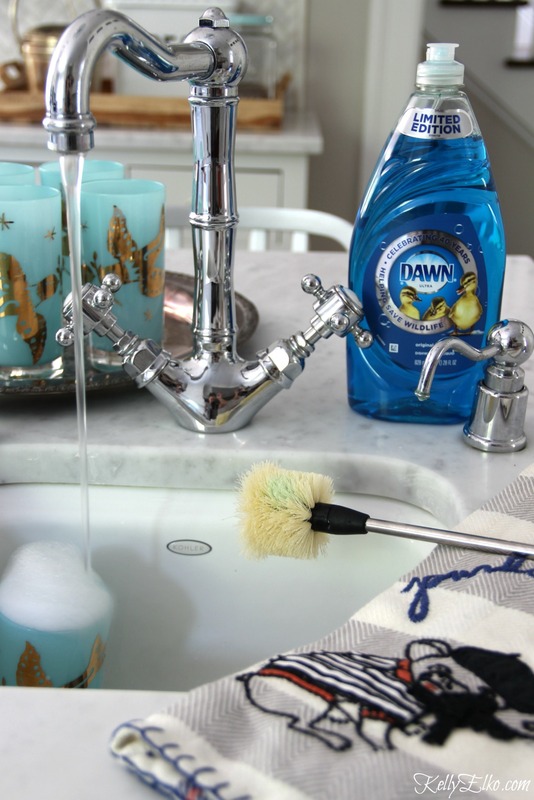 Fun fact: one bottle of Dawn can clean the plates of an entire town … 6,001 dishes to be precise! But did you know that Dawn is the wildlife expert cleaner of choice after an oil spill because it removes grease without harming the delicate skin of birds. For 40 years, Dawn has been supporting wildlife rescue rehabilitation centers, like International Bird Rescue and The Marine Mammal Center, with its products to clean animals affected by oil pollution. Bravo! Print your Dawn coupon (and use at your local Walmart, Kroger, Target, Sam’s Club – they all have it)! 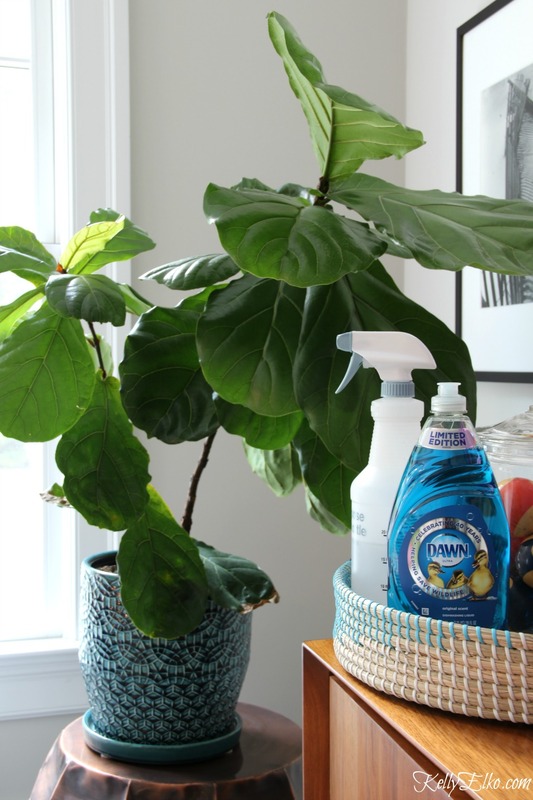 Bug Free Plants – Dawn is great for repelling bugs from my indoor houseplants! Just add a drop of Dawn to a spray bottle filled with water, shake and spray. Getting Whites White – get armpit stains out of white undershirts by mixing one part Dawn to two parts hydrogen peroxide, let sit on stain for one hour then sprinkle on baking soda and scrub. Unclogging Toilets – my husband taught me this trick! Pour a cup of Dawn into the toilet bowl and let sit for 15 minutes then pour a big pot of very hot water from waist height into the toilet bowl. Voila – no more clog! Stainless Steel – my range hood takes a grease beating but Dawn gets it gleaming. I mix a few drops of Dawn to a bucket of warm water then wipe the stainless steel with a microfiber cloth, follow with a wet microfiber cloth and finish off with a dry microfiber cloth. Stove Vents – I don’t want to scare you, but take a peek under your range hood and you may be surprised at all the greasy gunk clinging to the filters! Remove the filters from the hood and place in a bucket (or sink) of boiling water. Add a few drops of Dawn and 1/4 cup of baking soda and mix it together using a wooden spoon. Submerge the filter in the water and let it soak for 15 minutes. Attack filter with a scrub brush adding more dish soap if needed. Rinse and dry the filter then leave to fully air dry before putting it back in the hood. P.S. In honor of respecting all wildlife, Sushi has decided she will still chase chipmunks, squirrels and bunnies but she will do them no harm! I love Dawn and have been a user for many years. I had no idea about unclogging toilets! You can also add equal parts Dawn (only the blue) and vinegar – then spray your tub/shower! Let me tell you how CLEAN it gets!!! Wow, love that Dawn. Thanks for the tip Linda! Sushi is so stinking cute! Thanks for sharing the tips. I never tried the underarm stain tip. It’s a miracle worker for stains Hope! That’s my choice for soap but, some of your ideas i did not know, thanks and have a wonderful day. So many great uses Marlene – I’m off to Italy and can’t wait to fill you in when I get back! Hi Kelly, I use Dawn for almost everything you mentioned except my plants. 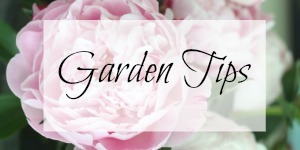 I graduated from a Master Gardener class in 1999 and learned many tips and tricks for plant care. I rarely use commercial pesticides for my home. But I do use a homemade insecticidal soap solution for the treatment of aphids and even spider mites. I was told not to use Dawn because it strips the oils from the plant leaves. I use only Ivory mixed with water on my plants. I’m curious to know if any of your plants have suffered any adverse effects from use of Dawn? Thanks so much. I’ve never had an issue Crystal but I don’t use it often, only when bringing plants in from outside each season. Great tips and ideas! I of course loved seeing Sushi at the end! Dawn is great! Sushi loves making appearances Lisa!